Fans who want to do more than just watch walkers on TV will soon be able to do just that. Thorpe Park, an amusement park in the UK, just announced it’ll soon open the world’s first Walking Dead roller coaster. 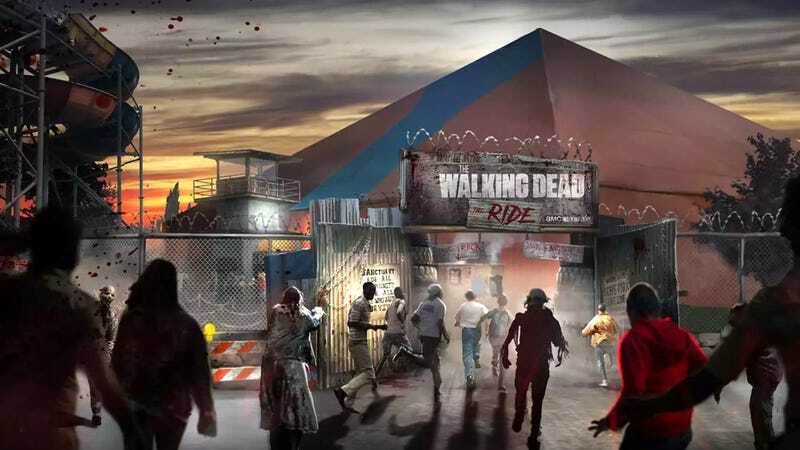 The Walking Dead: The Ride is a refurbishment of the park’s current coaster, X: No Way Out, but will add “cutting-edge theming and on-ride effects like mid-course pauses and live actors,” according to Entertainment Weekly. Though this will be the world’s first Walking Dead roller coaster, it’s not the world’s first Walking Dead theme park attraction. Universal Studios Hollywood has a permanent Walking Dead maze. The Walking Dead roller coaster is reportedly on track to open around Easter.